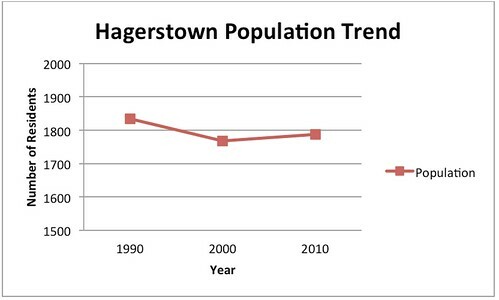 The official population of Hagerstown according to the 2010 Census is 1787 persons. 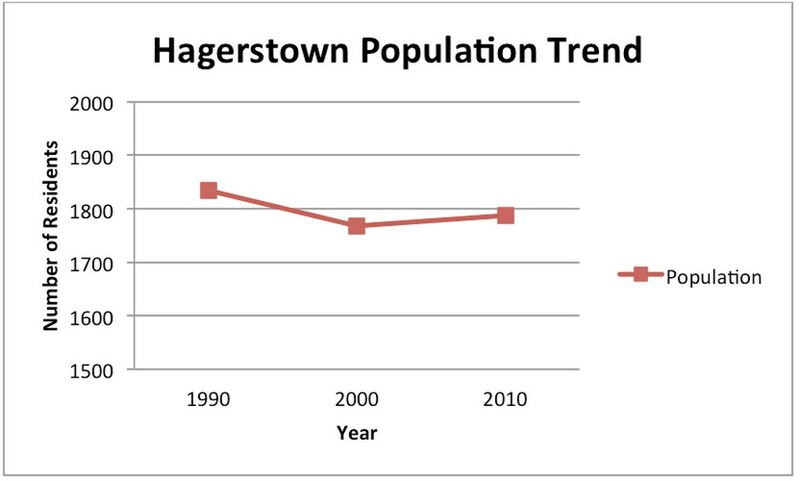 This one percent increase reverses the slight declining trend that Hagerstown has been experiencing during the past thirty years. The age figures for a particular area are a good measure of the current population structure of that area and how that area may grow into the future. Over fifty-five percent of the population is between the ages of 18 and 64, which indicates that Hagerstown has a strong working age population. An additional twenty-six percent of the town’s population is under 18 and will be of prime working age within the next two decades. This shows that Hagerstown has a strong workforce both currently and for the near future. The median age in the town was 37.9 years.